ASPs monthly family support group sessions bring together parents, siblings and other family members to talk about their journey in living with autism. Participants share their experiences and draw enlightenment and strength from others going through the same challenges. This special FSG will be BY-INVITATION only. 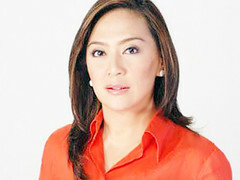 Our facilitator for the January 24 Family Support Group session is Ms. Karen Davila. Karen is an award-winning Filipino broadcast journalist and television presenter. She has won numerous awards both locally and internationally in her career, including two awards from the prestigious New York Festival and the 2008 Ten Outstanding Young Men Award for Broadcast Journalism. She is a main news anchor on the ABS-CBN News Channel programmes Bandila, and Headstart with Karen Davila. She is a doting mom to David, a child on the spectrum, and Lucas. 1. Go to our Facebook page to find out how you can participate in this special event. 2. You need to answer a question. Participants will be selected based on their answers. 3. ASP will release invitations only to the shortlisted participants via Eventbrite. 4. Each participant will PRINT and BRING their ticket to the venue and present to security. NO TICKET, NO ENTRY.